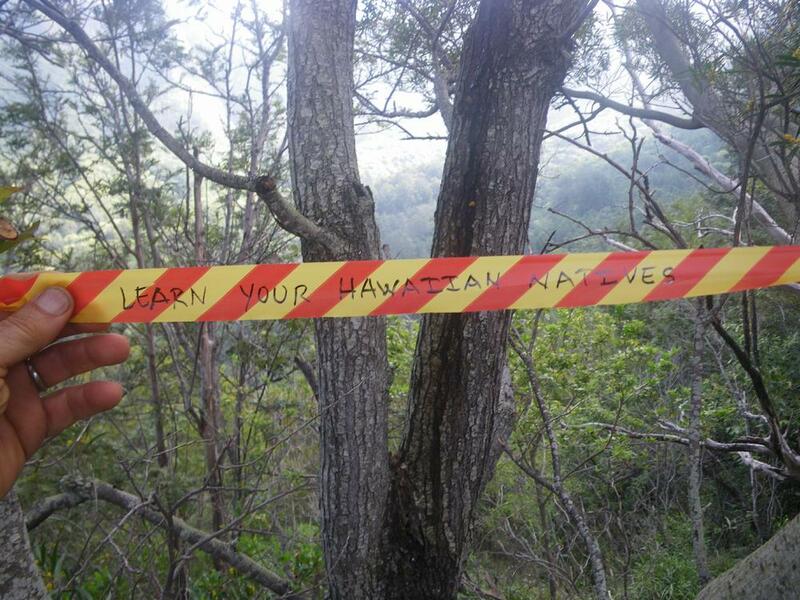 I've been hunting and hiking on the island of O`ahu since 1964 and over the past few years have become really interested in learning to identify the native plants (both endemic and indigenous) here on O`ahu. This web page will help me learn as I photo and write about each plant. I hope it will also help you as well. Helping me learn in the past few years have been John Hall, Daniel Chung and Nathan Yuen. There have been others in the past as well as a number of books I've looked at. Of course the Internet has also increased my knowledge. I'll be setting this information up in two ways. First will be the plants one would find on particular trails and second an alphabetical list of plants in general. Alphabetical Listing of Native Plants by Hawaiian Names.